Now that the In Law unit has a floor we can start addressing items that are at eye level. It’s a long way down to the ground when you’re as tall as I am, so the thought of working on tasks that don’t require kneeling on the ground is a very exciting prospect! 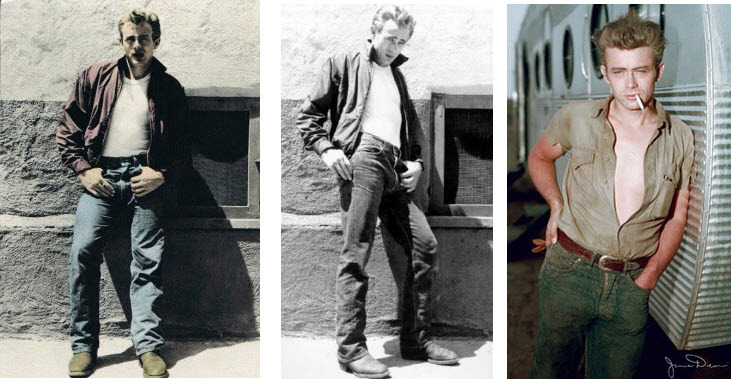 Also exciting is having a chance to practice my James Dean lean on a product of my making. 1) Floors are not at eye level. 2) Gravity is not working with you. 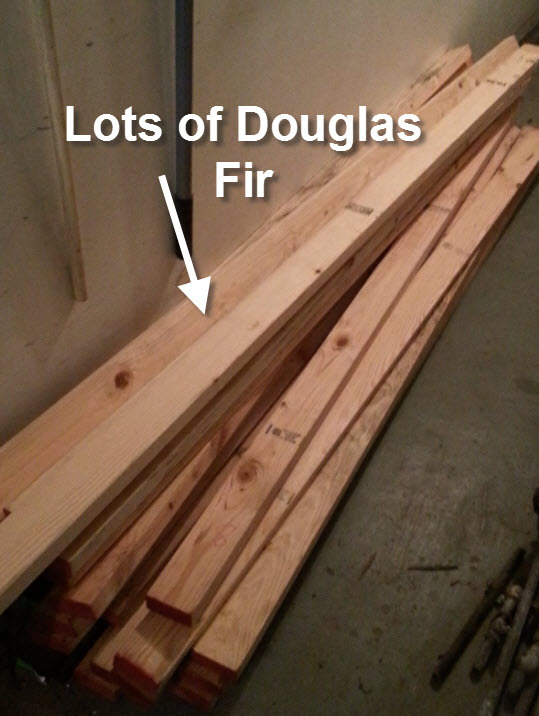 3) Building a floor involves lifting and moving very heavy and very long slabs of wood. 4) Nobody really says “wow, look at that awesome sub-floor,” except for people on this blog and I love you for it. 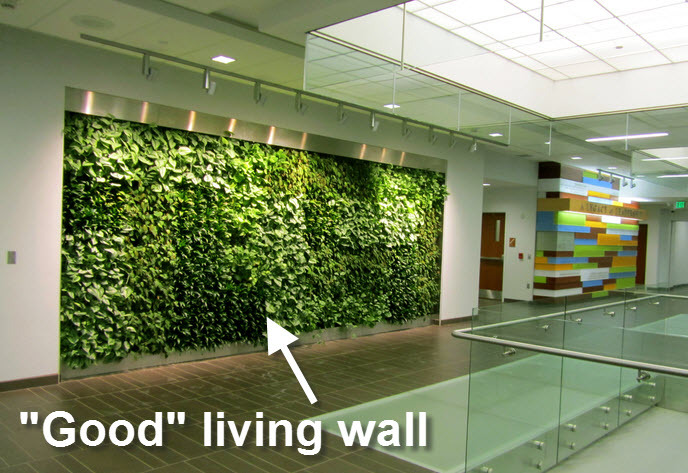 …the kind of living wall that is made out of mold. Part of our living wall was being fed by the moisture from the busted poop-pipe, and part of it was being fed by the moisture created due to a lack of insulation. You see, this wall, which use to be part of the original house (hence the old siding), is separating the In Law unit from the garage. 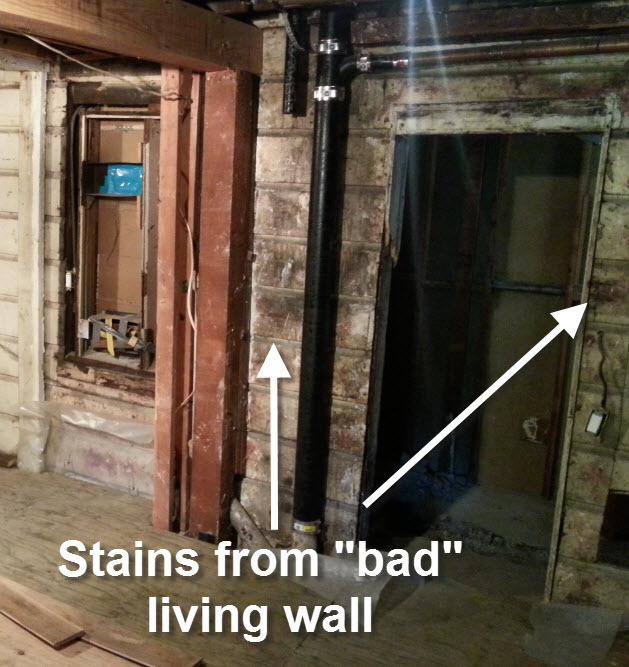 The previous owner just slapped some drywall up onto the old siding and called it a day. Eventually, hidden from the prying eyes of the public, behind the veil of drywall, the cold air from the garage started having a secrete rendezvous with the warm sultry air of the In Law unit. The result of their romance was a living wall made up entirely of mold. 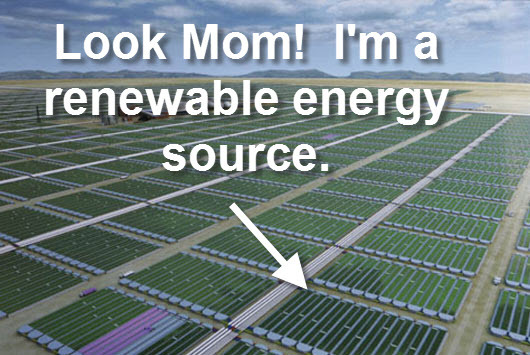 Now that their love children have finally been kicked out of the house, like any disgruntled step-parent I’d like to encourage them to explore the world & maybe get a job creating biofuels, but most importantly not move back home. To make sure they don’t move back in, I will be framing a wall over their former home (the siding) and will eventually fill that wall with closed cell spray foam. 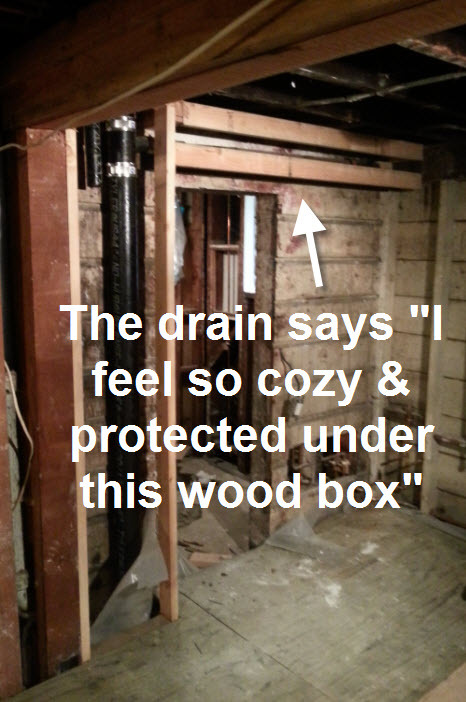 The spray foam will both insulate and act as a moisture barrier between the cool garage and the warm In Law unit. 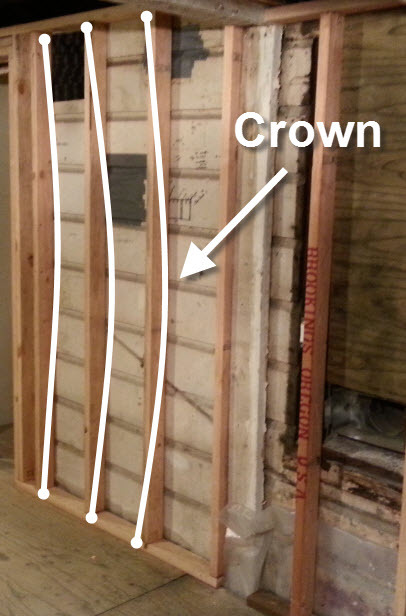 With all of the crowns marked, I was able to get the wall framed pretty quickly. 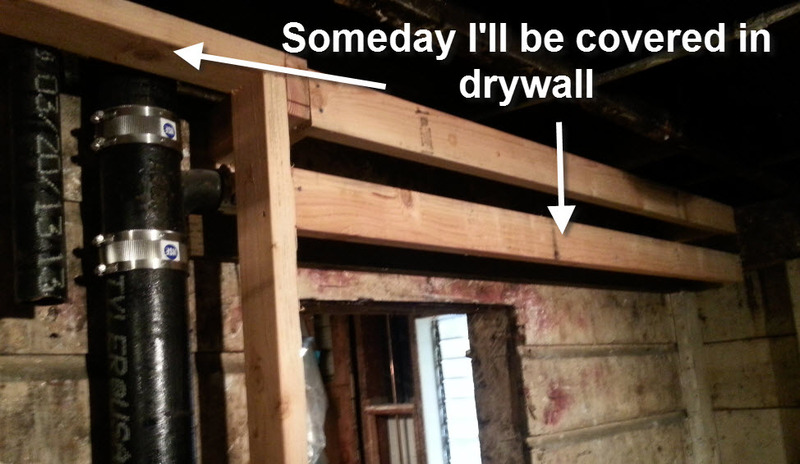 Once this was done, I was able to switch my attention to building a soffit around a few pipes that were attached to the wall. I still need to frame out the wall under the new soffit but before doing that I need to make some adjustments to the bathroom door. 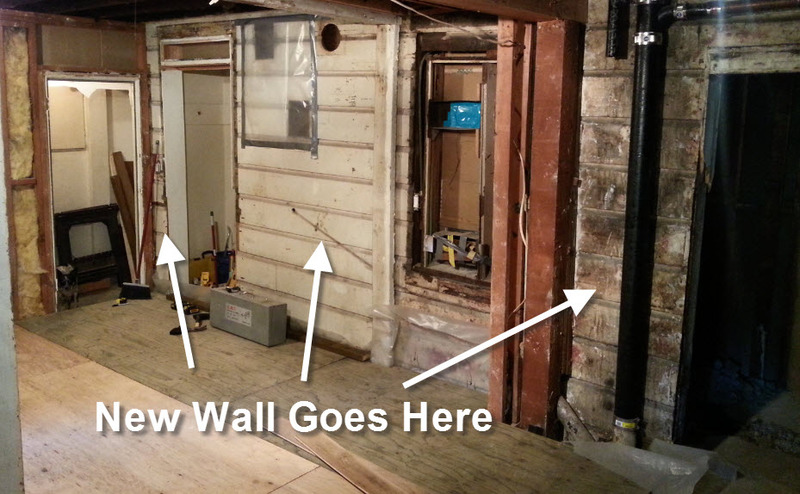 Overall, I think that building the wall over the weekend was quickest task so far in the “My First Renovation” project. 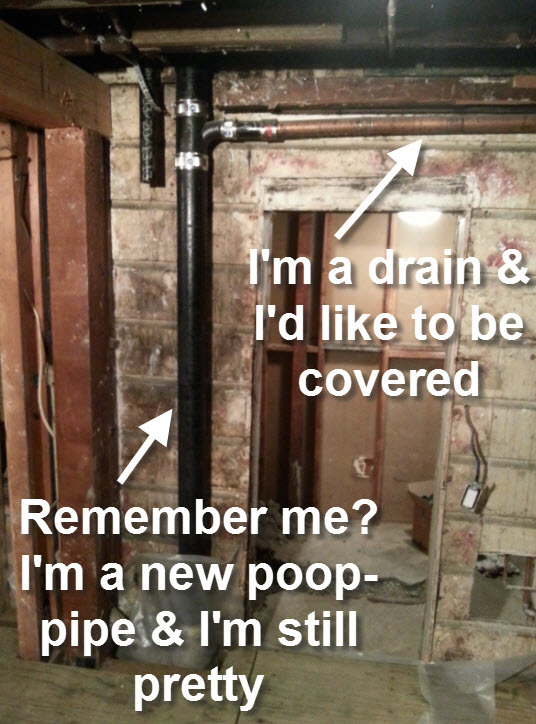 I’m either getting better at this DIY thing, or the hardest work is behind me. Let’s hope both are true. 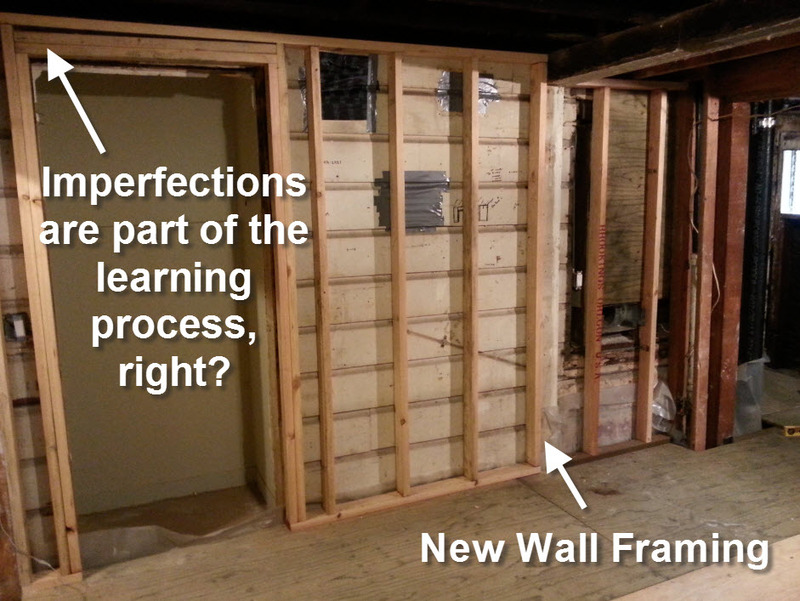 I see the amazing progress all the time, and still love reading about the process….you are doing an amazingly thoughtful job Beth, with an awesome attitude!